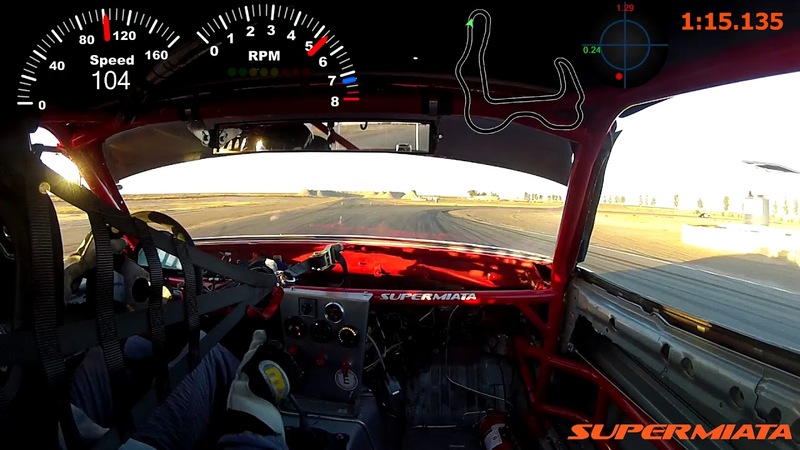 Supermiata wins Unlimited RWD @ Super Lap Battle 2017 - TrackHQ.com, the Web's leading forum for track day enthusiasts, racers and time attack drivers. had an answer and our cars was just getting faster every session. We clinched the win in the second to last session with a 1:45.13. Last session was just a sort of victory lap and one last shot at getting in the 1:44's. Managed to just nick it in despite some traffic on fastest part of the course. The story here is not how radical our SLB build was but indeed, how rather pedestrian it was. Basic ingredients. An unmodified, uncut tub. Stock spindles, subframes, control arms, transmission, block, head. Bushing suspension, no bearings. Stock engine and trans location. 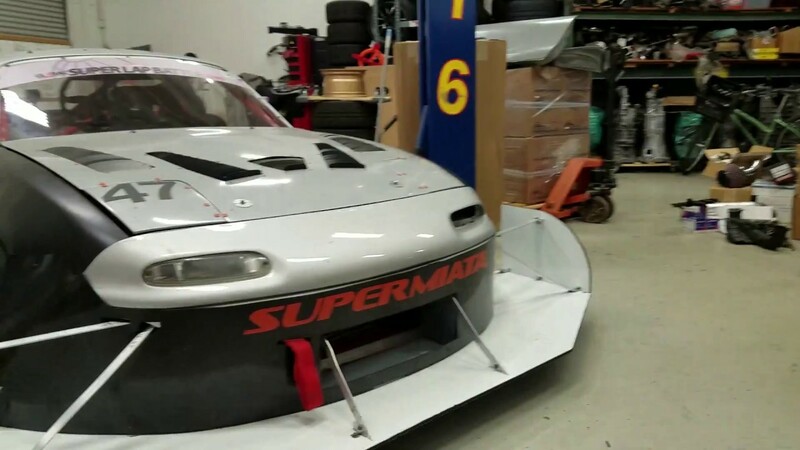 Full OEM body with a huge DIY splitter made from sign material, a generic APR GT-1000 rear wing. No diffuser, no canards, no flat bottom, no skirts. 306whp, 2300# for a relatively modest by URWD standards 7.5lbs/hp. Nothing resembling the typical hardware list that shows up for Super Lap Battle in Unlimited. It wasn't that we didn;t know how or didn't want to, it's more than I simply had the crazy idea to enter at the last minute. So a week or two before the event we fabbed the front end, bolted on the wing we had laying in the warehouse from another project, bought a set of Hoosiers and turned the boost up. The end result of this project is that we have decided to pull out the stops and build a car from the ground up specifically for URWD which we will campaign next year. Maybe not a great idea but we're gong to give it our best shot. 500# less weight, another 200whp, 7 speed sequential, 2x the downforce, maybe 25% less drag, much wider Hoosiers. Should be fun. Amazing. Big Happa and I were at the car show and were talking about your earlier results. Congrats! You guys are insane and awesome! Car looks killer. If you guys add to your insanity in 2018 with sequential and all the rest please let us know before the event so we can come watch. just curious, with miata's short wheelbase, and now high power, do you have any issue putting power down on corner exit? From the video the car seem to put power down very well. Nope. Just hooks up and goes. Wheelbase doesn't hurt it there. Credit to good shocks, suspension tuning, ECU mapping, diff tuning. IOW, it's not an accident that it works well. We have been tuning Miatas for a while now.